It has been a very busy and exciting year at Lone Tree Farm. The focus has been more on ponies than on produce. We again scaled back on Farmers Markets in 2004, selling only at the local Boonville market through the end of June. After 10 years of Farmers Markets, I have decided to discontinue that aspect of the farm sales. While Farmers Markets are wonderful, all the time we spend on the road, packing and unpacking, late night harvesting etc.--for a small operation like ours with no employees the time commitment is greater than the small profits can justify. In the future I plan to concentrate on selling more of our produce direct from the farm, as well as shipping by mail, instead of at Farmers Markets. We will also expand our farmstay program and classes offered on the farm. A crossbred filly, Tiree, was born in April (the dam Skye is now with new owners). 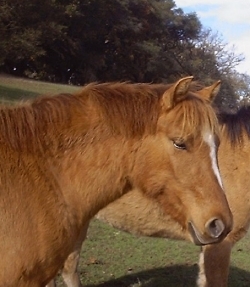 Tiree is for sale and will be here at our farm once she is weaned in the fall. 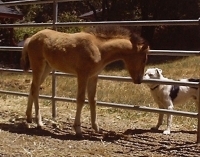 Our first purebred foal, Lismore, was born in June. She is lovely, and we are delighted to see that Quartz and Shuna produce exactly the type and quality of foal we had hoped for! 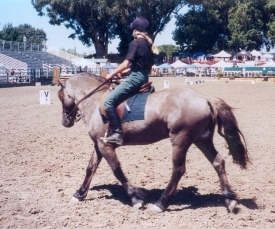 Quartz made an appearance at Dressage in the Wine Country in August. We did a ridden performance for the rare breeds exhibition with live bagpipe music provided by Peter. The highlight of our year was a trip to Scotland in October. It had been 6 years since we were there last. We were away from home for an entire month, which was a little worrying, but wwoofers extraordinaire Hannah and Chris took excellent care of the farm and all the animals while we were away. We spent 2 weeks camping in the Hebrides, and even had beautiful dry (but cold) weather most of that time. We were also able to pay a brief visit to Margaret Fay Shaw Campbell, who still lives on the island of Canna at 100+ years of age. Mrs. Campbell's late husband Dr. John Lorne Campbell, the well known Hebridean historian, kindly provided Peter with the historical documents that enabled him to make his Western Fencibles CD (click here for more about the Fencibles CD) a few years back. Mrs. Campbell spent much of her life studying and collecting the gaelic folk songs of the Hebrides. 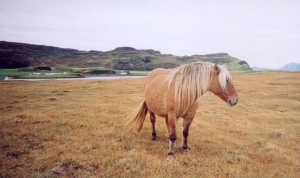 She has written a wonderful autobiography "From the Alleghenies to the Hebrides". What a fascinating life! 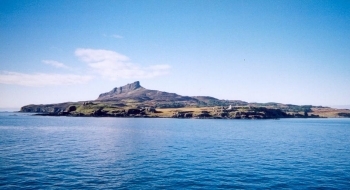 Dr. and Mrs. Campbell donated the Island of Canna to the National Trust for Scotland, and their library is to remain on the island. 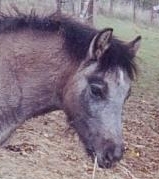 We visited 10 different Highland pony breeders all across Scotland and saw a pretty good cross section of the breed. Many beautiful ponies and wonderful hospitality! 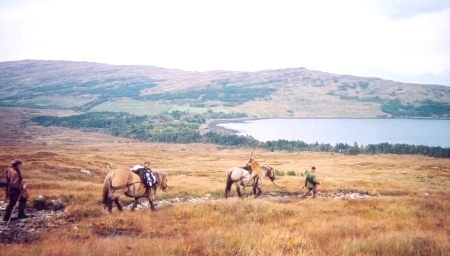 Traditional working ponies are alive and well in the Highlands. An especially interesting experience was spending some time out on the hill with the working deer ponies on the Island of Rum. November and December have sped by as we try to catch up on all the work here after our time away! The garden got a little behind schedule--it looks like most of our winter vegetables (cabbage, broccoli, kale, leeks) will be early spring vegetables instead. The tomatoes, peppers, cucumbers, and eggplant lasted until Thanksgiving, when we had a week of hard freezes every night. 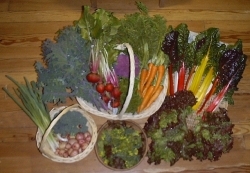 We are still enjoying our excellent crop of carrots, beets, chard, and winter squash. Lismore and Tiree were weaned in November and are growing by the day. Shuna is back under saddle since weaning her filly, and making excellent progress. 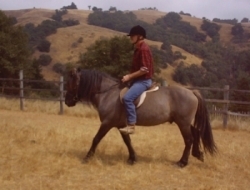 Peter has been working with Shuna and Quartz, so that I can concentrate on training the younger ponies. Harris (1/2 Highland) and Mist (purebred Highland) both had their first ride in late December and I will continue schooling them under saddle over the winter. Ronay is almost 3 years old now--hard to believe the time has gone by so fast. 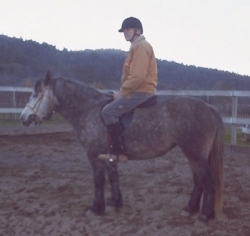 Like her mother she is a very easy one to train, and I am enjoying bringing her along under saddle. Watch for her at the shows in the spring, if she hasn't sold by then.